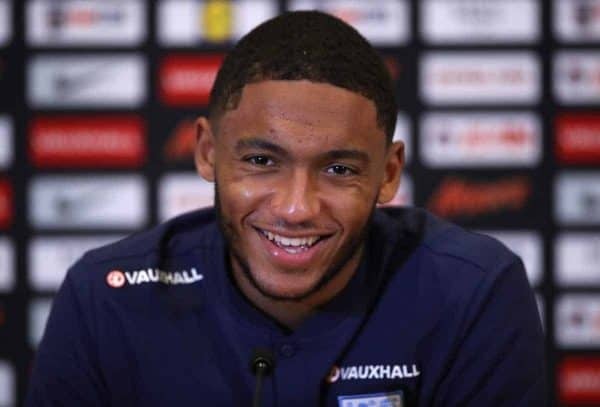 Joe Gomez was putting up wall charts in his parents’ house at the last World Cup – now the defender is pressing his case to be involved on the biggest stage with England. The 20-year-old was one of several surprise call-ups to an experimental senior squad, with Liverpool team-mates Alex Oxlade-Chamberlain and Daniel Sturridge among the names conspicuous by their absence. 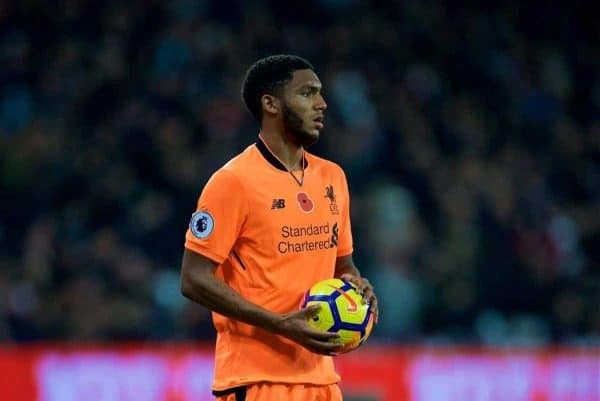 A lack of game time cost the duo their place, whereas Gomez’s run under Jurgen Klopp means he in line to make his senior debut in the upcoming friendlies against Germany and Brazil. Both opponents offer quite the baptism of fire for a level-headed player who has come a long way since England bombed out of the World Cup in 2014. “It was probably towards the back end of 2014 when I signed a deal at Charlton,” the defender from south east London said. “Even though I’m young, it was a while back. It seems a while ago. “Obviously I watched the games at my mum and dad’s house in Catford. “I remember getting the timetables from magazines – either Match of the Day or Match Attax, and just tuning in and keeping up to date. “It would have taken a lot to convince me that would be a reality (to go this time). “Obviously I would grab the chance if it was put in front of me. It does seem like quite a journey. It’s had its ups and downs. “I had a season when I was injured and it took a lot to stay strong through that. 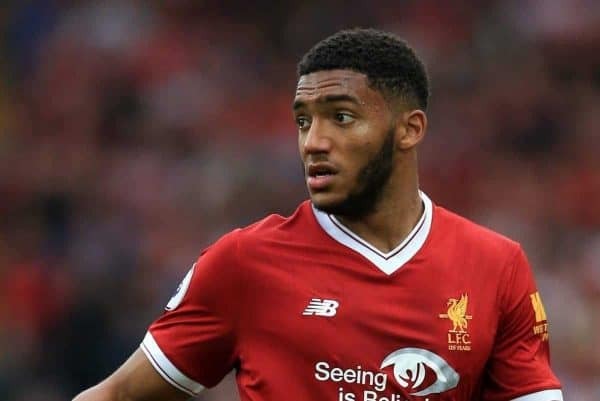 Gomez swapped Charlton for Liverpool in 2015, with his bright start to life at Anfield brought to a shuddering halt by an anterior cruciate ligament injury suffered when playing for England Under-21s that October. It led to a 15-month lay-off that ended his 2015-16 campaign and meant he made just three appearances last term. 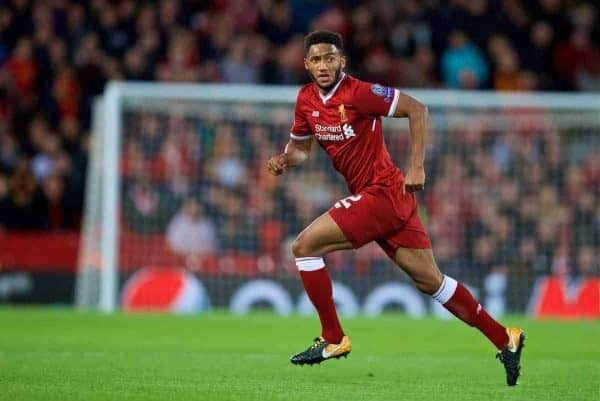 Gomez has returned strongly this season and Southgate – the Under-21s manager when he was injured – intends to try the defender in a three-man back line, despite him being utilised as a full-back by Klopp this season. “Ideally I want to end up as a centre-back,” he said. “That’s where I think I can progress the most and develop to be the best I can be. “But I enjoy playing at full-back and it’s helped me with my development to this point. Asked if that was Klopp’s view too, Gomez said: “Yes, I believe so. I think with injuries opportunities have come to play at full-back. And Gomez is happy to have kept the faith in his ability and not left Liverpool on loan in the summer. “At the time my main aim was to attack the off-season and to be in the best possible shape for pre-season,” he said. “I saw it as a fresh start, a blank page to progress again. It was in the back of my mind that I could potentially go out on loan if I didn’t see things going the way I wanted them to go. “But the manager gave me the belief that I could work my way into the team. “I’m thankful that it feels like the right decision to stay and work for my place.